Quesh takes toxic to a new level. You can’t even breath the air without some sort of vaccination! 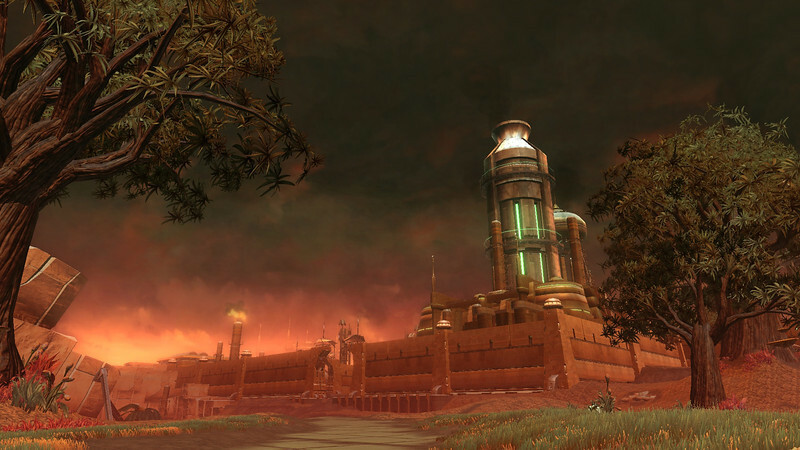 It is oddly pretty here, though, and worth a visit if you like good scenery and don’t mind needles. If you don’t like sunlight, this might be an especially good place for you. I don’t recall ever seeing a sun from the surface through all the toxic atmosphere.